Ashraf is passionate about helping clients, whether individuals or businesses, to identify their unique talents and competitive advantage. He coaches and trains in English and Arabic. A Canadian-Jordanian, Ashraf MARZZOKA is one of many examples of an Eastern-Western cultural bridge. This brings a powerful depth to his coaching practice that opens a wide range of possibilities for his clients. Ashraf’s area of expertise lays in helping adults and youngsters discover their true talents and passion and live accordingly. Ashraf can bring value to your life and business through a coaching relationship that focuses on identifying your competitive advantage, developing your natural leadership, proof testing and enhancing your strategic plan or accompanying you in navigating through transitions. Ashraf is also a multi-entrepreneur. He launched his first venture in 2007 to connect North American franchises with Middle Eastern investors. 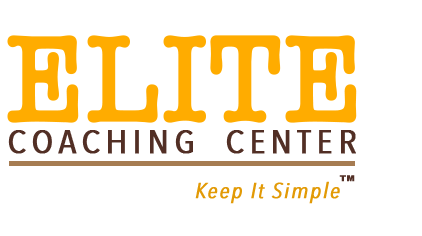 In 2010 he performed a management buy-out of a fashion retailer in Amman and two years later founded Elite Coaching Center for which he developed the Certified Professional Coach Program (CPCP), a training program for new life & business coaches certified by ICF. Previous to that, Ashraf worked in a variety of managerial positions in the retail, manufacturing and textile industry, acquiring wide experience in operations and sales & marketing. Ashraf was born and raised in the Middle East, moving to Canada in his early twenties where he obtained a Diploma in Electrical Engineering and a Bachelor in Technology Management. He discovered his passion and natural talent for coaching in Vancouver, where he was trained as a Co-active Coach by CTI, and became an Associate Certified Coach (ACC) by the International Coach Federation (ICF). Today, Ashraf lives in Germany where he coaches clients of various age and nationalities and from where he travels to provide and receive training, share experiences and develop partnerships with other coaches and educational institutions from around the world. Ashraf has coached business and life clients in Canada, USA, Germany, Turkey, Bosnia and Jordan. By his personal and professional background, Ashraf is wired to establish fruitful and rewarding connections with people and businesses that desire to work in envisioning their future and transforming their aspirations into reality.